Anyone want to go see a band with us? 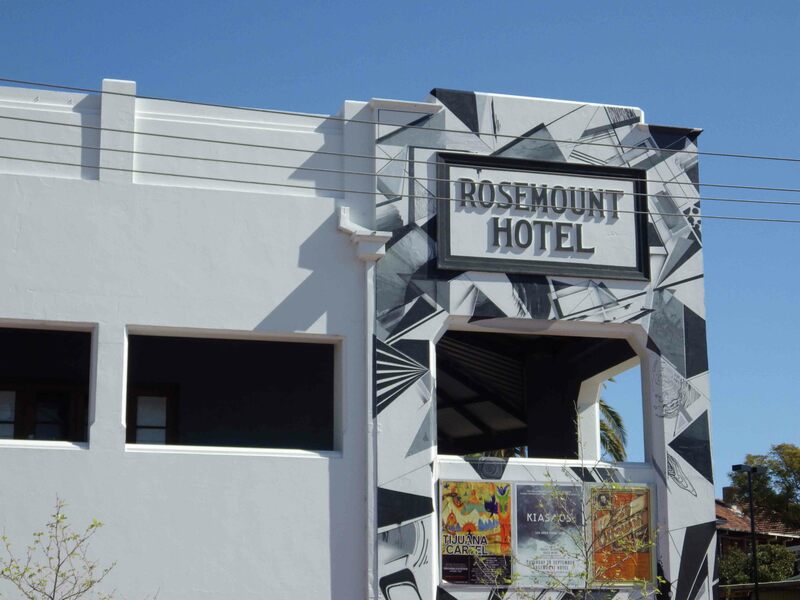 The Rosemount Hotel is the work of Charles Oldham, best known for designing the magnificent AMP Building. It was during the construction of this he wrote a letter to his clients. AMP, saying the Clerk of Works had to be fired. Oldham claimed Robert Bushby was too picky with the materials (he didn’t like the Donnybrook stone which had been delivered) and the contractors couldn’t work with him. Bushby was dismissed and immediately sued Oldham for libel. He originally won £200 in damages, although this was overturned on appeal, since the letter was deemed to be in confidence. In the lab, the spirit in question was found to be made from potato, coloured with burnt sugar, and flavoured with some type of rum essence. The ingredients of the latter included manganese dioxide and sulphuric acid, to which, birch or coconut oil had been added. Cutmore’s defence managed to establish he was an innocent victim here, but he was fined £20 anyway. In the meantime, the newspapers fretted that if too much dodgy rum hit the market, WA’s percentage of ‘lunatics’ was bound to increase by leaps and bounds. Next Post → Lions and tigers and bears, oh my!